So there’s a lot to say about the Emmy nominees and I may not be able to get it all in this post. First, if you take a quick look at the list (which is impossible by the way, there are a lot of categories) you’ll discover a few shows/actors/etc that were really surprising. Best Week Ever took a look at some of the shocking inclusions but I made a list of my own. -Take a look at this list of Emmy nominees: Canterbury’s Law, Disney Phineas And Ferb, Kid Nation, Pirate Master, Saving Grace. Please note that the list includes Pirate Master and one of my favorite shows of all time, Kid Nation. Can you guess what category this is? Outstanding shows no one watched? Worst shows ever according to the NY Times Arts section/the rest of society? Nope? Outstanding Original Main Title Music. I know! Who knew? If Kid Nation wins an Emmy…in anything, it will be the best day ever. -John Adams smoked every single mini-series category. The HBO miniseries earned a mind boggling 23 noms. 23. Expect to hear their patriotic theme a million times on show night. -Tina Fey and the rest of the 30 Rock gang scored 17 nominations, granted four of those are in one category (Outstanding Guest Actor In A Comedy Series). This show still doesn’t get enough love. I think the only way people will watch it is if it can sweep the comedy, actress in a comedy series, and actor in a comedy series. The thing is, I think it can and will. Other than Two and a Half nomination (seriously?) the list is pretty much exactly as I’d hoped. You can read the whole thing right here. Despite the strike, it looks like it’s going to be an excellent awards season. Tonight was my first busy night of television since before the Strike. 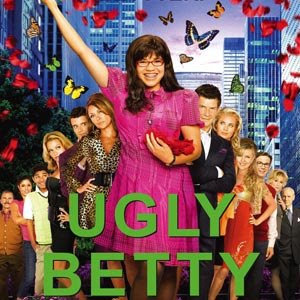 ABC’s Thursday night line-up (Ugly Betty, Grey’s, Lost) premiered tonight and NBC tried out a new time-slot for 30 Rock. Both of these tidbits were great news for me, especially on the same night. The time slot switch made it possible for me to watch all of my shows in one sitting. It was like a new lane opening up on a busy highway. just in time for things with SAG to heat up. I won’t be able to take another strike. Hopefully it won’t come to that. CBS had its first new Monday night comedy block since before the writers strike. They were competing with Fox dramas, reality heavyweights (The Bachelor and Dancing With The Stars) on ABC and a whole host of new reality on cable. Well see the official results tomorrow but I am curious as to how these shows will stack up in a post-strike TV community. Will people welcome their “old friends” back into to their own with open arms or will there be a kind of backlash. Have we moved on? Was 100 days just long enough for you to jump on the reality bandwagon? Or even worse, turn off the TV all together? CBS came out swinging tonight, but I am crossing my fingers that they don’t strike out. The Writers Strike is officially over. The NY Times TV Blog whipped up this strike timeline in case my daily, weekly, and then not-so weekly updates weren’t enough. And if you missed the press conference announcing the deal, you can check that out too. It’s been a long 100 days. Now it’s time to let the nation heal. Let’s make comfort foods and vow to never watch Moment of Truth ever again. I’m glad the Writer’s Strike is almost over. 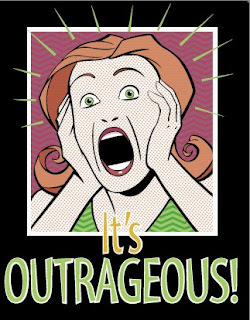 Tonight, for two hours, NBC is airing a little special called The 100 Most Outrageous Moments of All Time. What does that even mean? Caught on tape? Moments with animals? In Black History? In Pop Culture? And who’s deciding these moments? Is there a scale of outrageousness? You’d really have to hate music with an undying passion to want to avoid the Grammy’s so much as to sit through that special. Or you’d just have to have a high threshold for obnoxious clips/pain. In my mind, the only thing that could be on a countdown of that title would be 100 clips of mega-superstar Jem, of Jem & The Holograms. As you will recall, she was truly, truly, truly outrageous. Two of my favorites actresses recently announced that they’re preggers. Mary Lynn Rajskyb (That’s Rice-Cub) of 24 fame is due at the end of the summer. I hope she has a girl and names it Terry Schematic Rajskyb. That would be a fitting tribute. Chloe is what Rajskyb is known for, but her role as the female lead in Kirk’s short film on Gilmore Girls is why she’ll always have a special place in my heart. Beating Rasjskub to the punch is Angela Martin, Angela on The Office. She’s due in May and if The Office is coming back this spring with a few episodes, it will be interesting to see how they cover that up. I know they did it on Seninfeld, Cosby and other programs, but Angela is really short and very thin. She’s going to need to hold a really big cardboard box all the time. There’s A Deal On The Table! This may be my Kennedy moment. 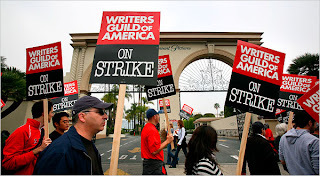 Where was I when the WGA and the AMPTP came to a tentative deal? Taking a nap at my parents’ house. I may have to work on my story. Anyway, the biggest struggle is over. Click here to check out the finer points of the deal. Guild members still need to vote on the agreement, but this is looking way up. Pie in the sky up. The optimism is contagious. TV Guide even put out this handy-dandy guide of when your fav shows are coming back.